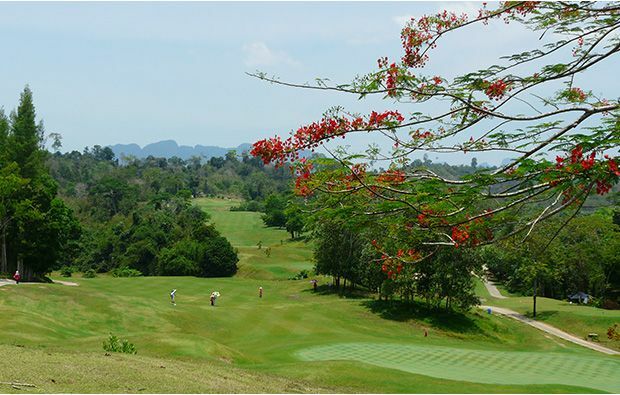 Rajjaprabha Dam Golf Course is a real hidden gem in the jungle-covered hills near Khao Sok National Park, about half way between Phuket and Samui and offer real escape from the city offering wonderful views. Don’t expect great service but the courses is decent enough and certainly worth the two hour journey. 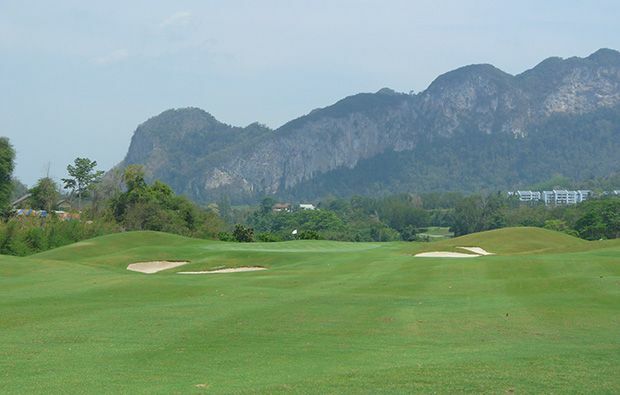 Tucked away in the hills near Khao Sok National Park you will stumble across Rajjaprabha Dam Golf Course, one of the best kept golfing secrets in Thailand thanks to its very remote location (involving a ferry ride from Samui which means that a round here takes most of the day). 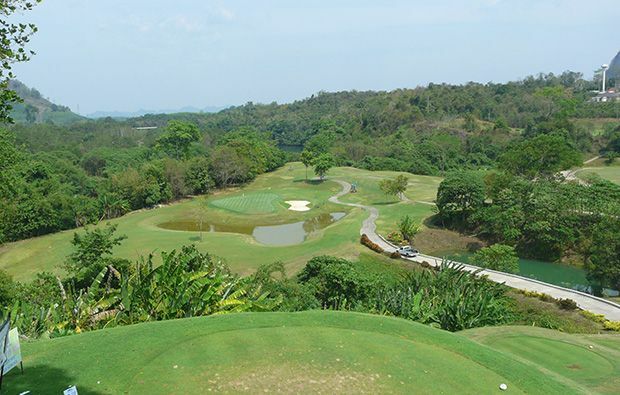 It’s an attractively landscaped layout cut out of the dense jungles that are a reminder to the eco-diversity of Thailand’s tropical forests and countryside; there are some superb views on offer, not least from the first tee box. 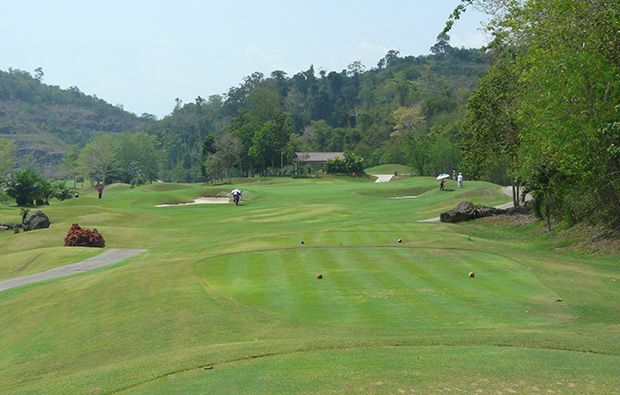 The course is great fun to play, that is if you like a challenge – there are some tough holes, especially the par-3s. Even the shortest one which is the 165 yard 6th, is not an easy par. From the elevated tee you have to carry a pond protecting the green and at the same time avoid the bunkers behind; the elevation change that makes club selection tricky, this is not easy. Don’t expect an easy ride on the par-5s, especially the 542 yard 7th where your tee shot demands a 180 yard carry over a stream to a landing area well protected by bunkers. The next two shots are uphill and around the dog-leg to a green protected by another pond that has swallowed numerous balls. The clubhouse is pretty basic but functional, but the local food on offer at the restaurant is excellent, and the perfect way to end your day trip. While it’s a long drive to get there, the journey itself is very scenic, and overall it’s definitely worth the effort to enjoy the amazing setting and enjoyable golfing challenge on offer at Rajjaprabha Dam Golf Course. 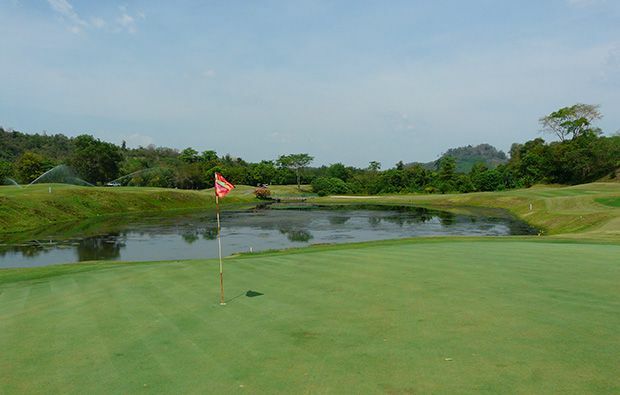 Rajjaprabha Dam Golf Course has different Services to offer. Choose a date and number or players to see the rates.